US Based Customer Service:Order, shipping & warranty questions. 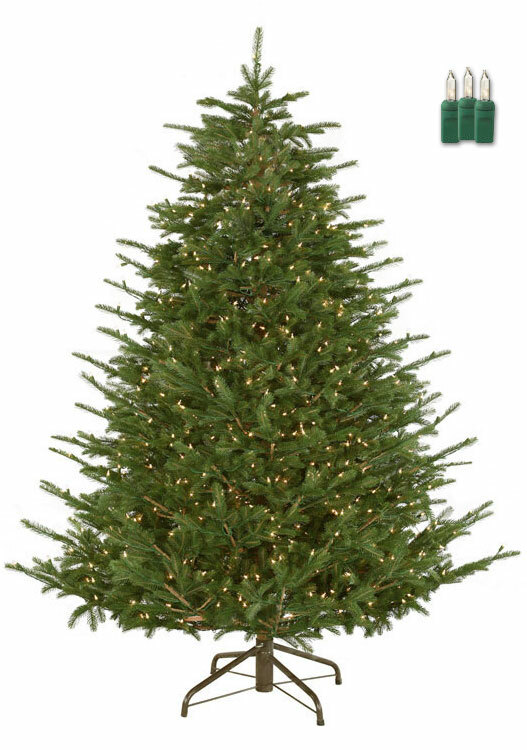 Allow us to introduce the Nature's Own Fraser Fir. 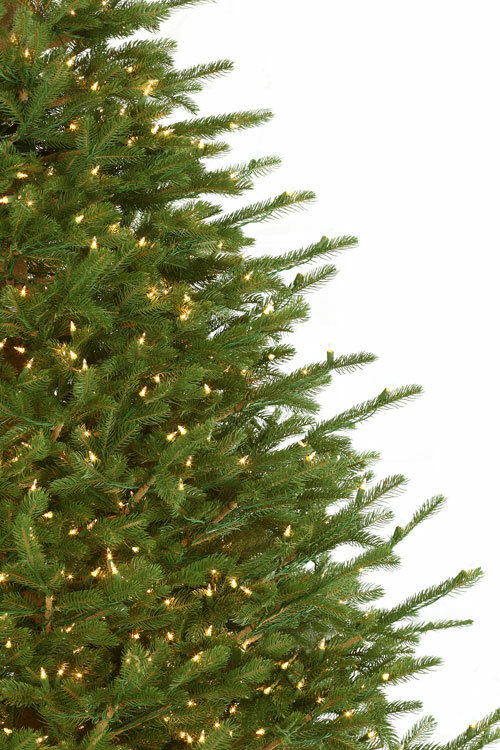 At 7.5 ft. with Staylit Clear lights, this tree is a handmade, precise replica of the original Fraser Fir: the nation's most sought after Christmas tree. From random branch positioning to reinforced tips of the needles to handle even the heaviest ornaments, nothing was left to chance. Our Christmas trees are designed to help you eliminate your holiday stress by giving you one less thing to worry about. All of our trees are maintenance free–there’s no watering, or turning your tree because Choice Christmas trees look good from every angle. 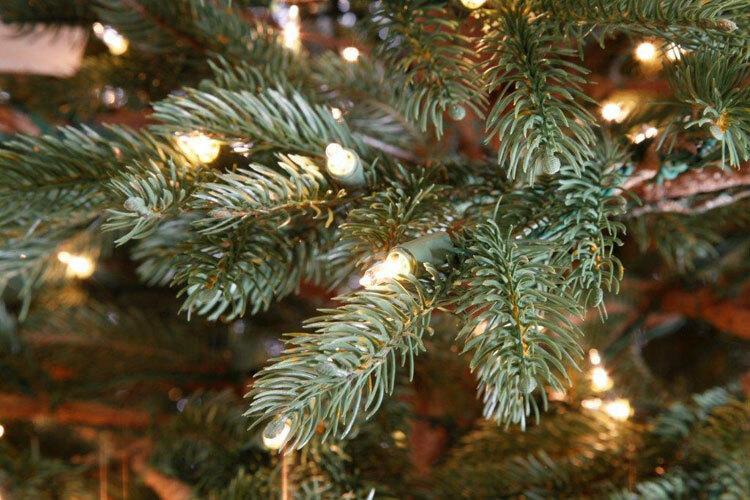 Our trees also reduce fire hazards and don’t require any messy clean-up or disposal after the holidays are over. 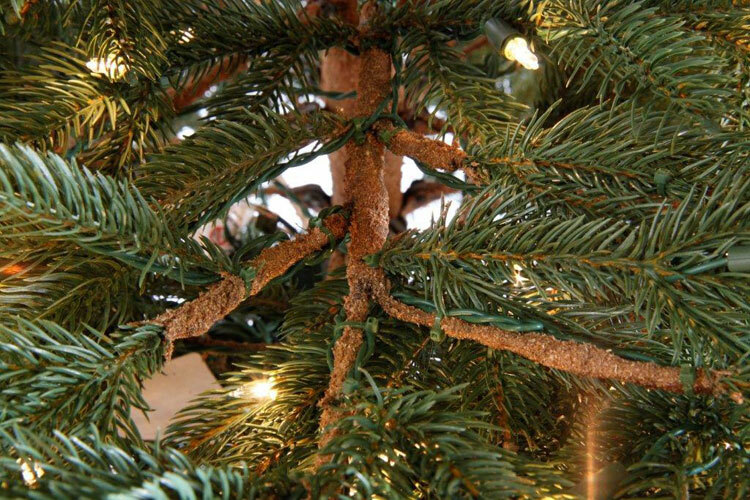 In addition to reducing mess, artificial trees don’t contain any natural allergens. Staylit worry free lights are engineered to stay lit even if one or more bulbs are loose, twisted, or broken. Standard light sets will remain lit if a bulb burns out. But, if a bulb becomes loose, twisted or broken, all the bulbs within its circuit will go out. Staylit lighting uses patented technology to regulate voltage by inserting a computer chip in every socket. This chip regulates the flow of electricity to each bulb and completes the circuit even when bulbs are loose, twisted, or broken. Free shipping available for all trees. Trees will be shipped UPS ground and typically arrive within 3-7 business days. We also offer U.S. backed customer service to answer any of your ordering or shipping questions. Our Christmas tree and light warranties. 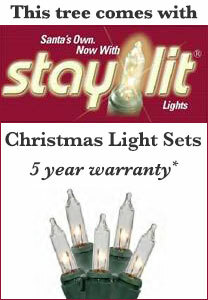 15-year structural, 5-year for Staylit light sets, 3-year on all other light sets. The warranty does not cover bulbs that burn out.